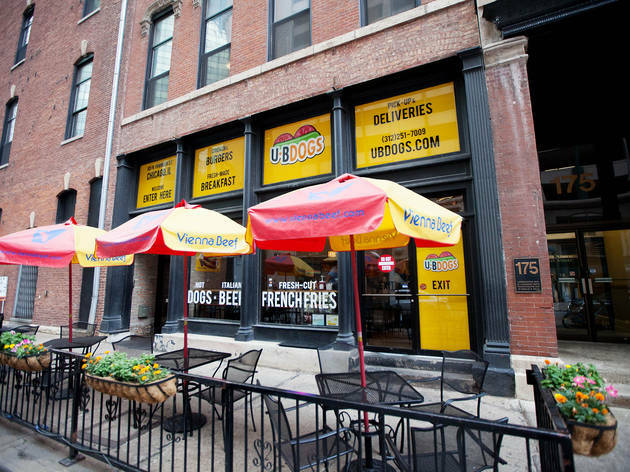 As the unofficial office epicenter of Chicago, it's no surprise that the Loop is brimming with lunch options. Ditch your boring brown-bag meal in favor of something a bit more exciting. 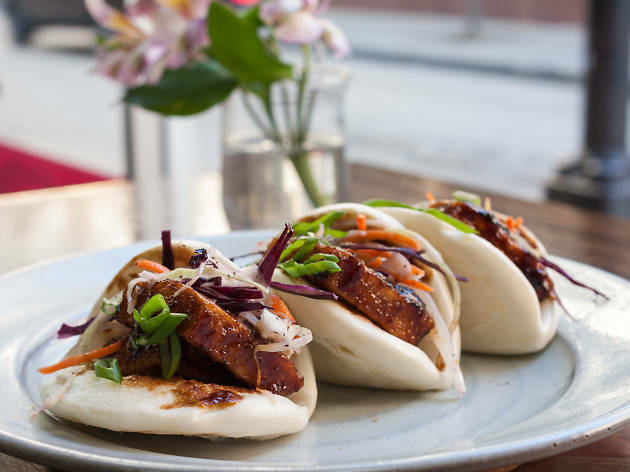 Our favorite downtown lunch destinations offer a wide range of international cuisines and price points: from slurpable ramen and smoky barbecue to the city's best grilled cheese and stuffed empanadas. 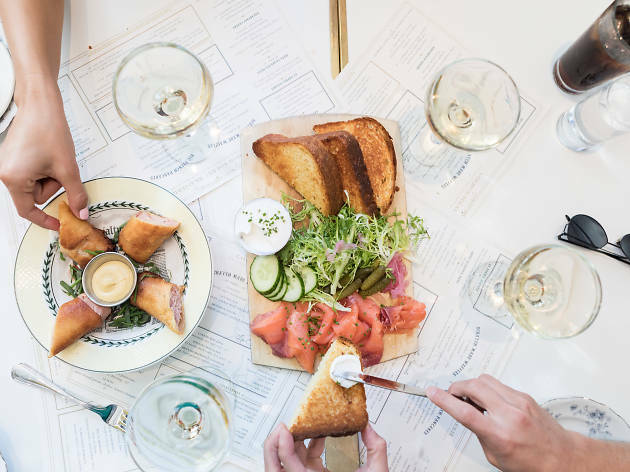 Whether you're looking for quick, cheap eats or an upscale spot for a leisurely afternoon meeting, there's an endless supply of options in the Loop. 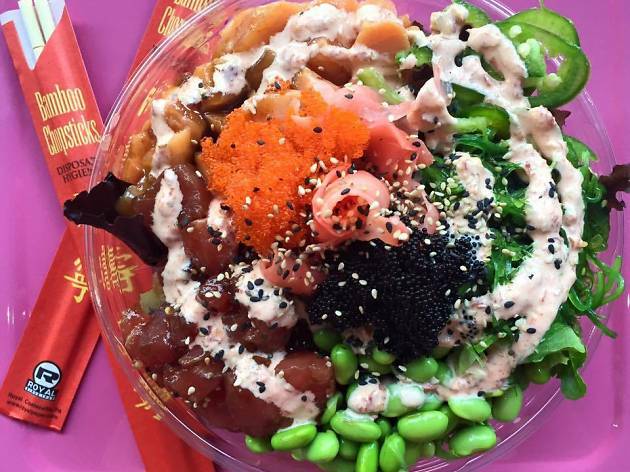 We narrowed down the list and ranked our top downtown lunch picks. Revival Food Hall, a.k.a. 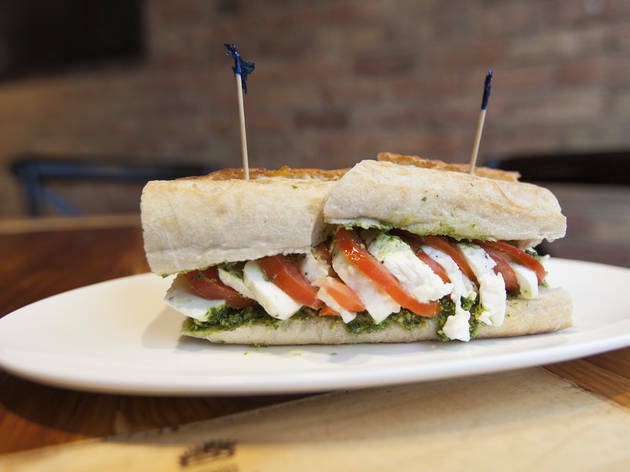 the lunch headquarters of the Loop, offers 15 different top-notch vendors from neighborhoods across Chicago. 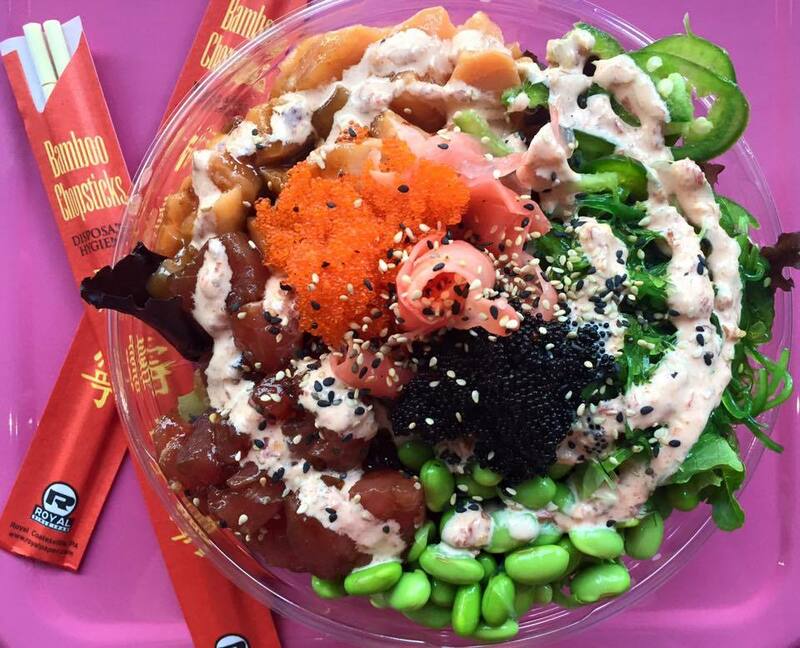 Choose from ramen, pizza, fried chicken, barbecue, poke, tacos, gelato and more (yes, more). The massive food hall has plenty of seating for groups big and small, and there's even a bar if your afternoon calls for an adult beverage. To avoid the crowds, stop by before noon or after 2pm. 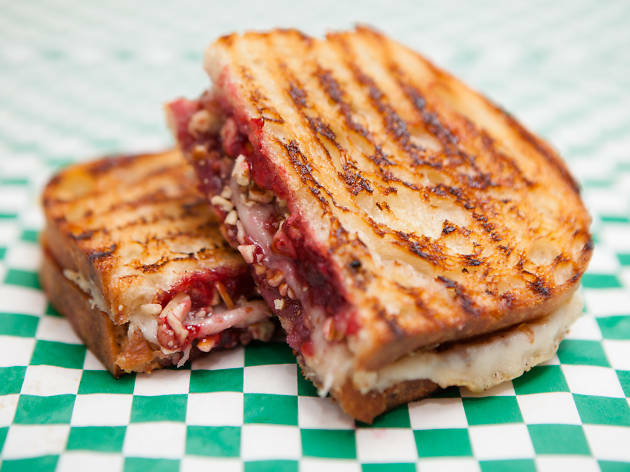 Come summertime, you can find Gayle Voss and her famous grilled cheese sandwiches at various farmers' markets around town. 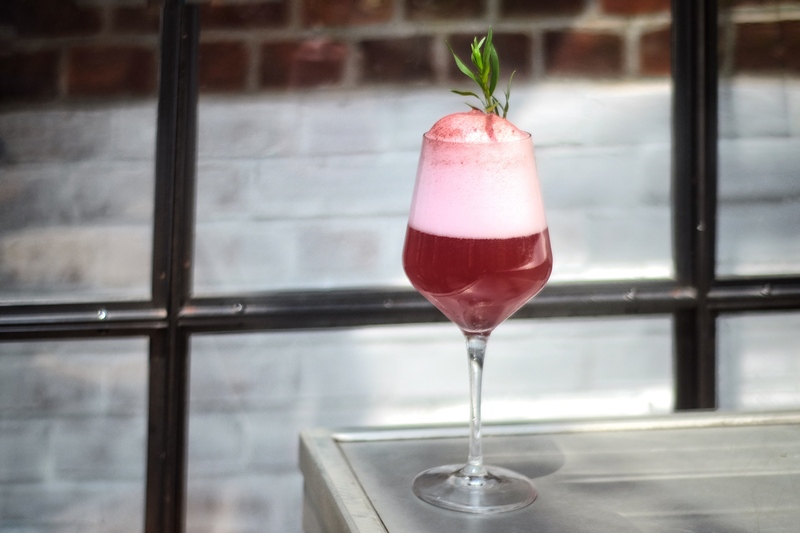 But when cravings strike during the workweek, you can always seek out her brick-and-mortar location in the Pedway at Block 37. We're fans of the classic grilled cheese, with Prairie Pure Butterkäse cheese and crispy sourdough bread from Bennison's Bakery. It's melty and creamy, just like mom used to make. Order a side of the tomato pesto soup. 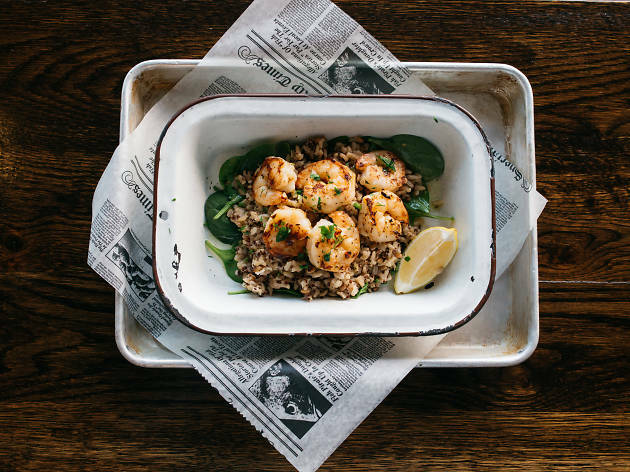 Brown Bag Seafood Co. makes eating right easy with two simple steps: Just pick your protein (choices include salmon, crispy fish bites and grilled shrimp) and choose a format. Get your fish straight up or in a salad, powerbox or veggie box. If you're looking for something a bit more filling, opt for a fish sandwich, tacos or a lobster roll. Brown Bag also has a second (and equally convenient) location inside Revival Food Hall. You don’t have to claim a bunk at the adjacent Hostel International to get your hands on one of this café’s ridiculously good Cuban sandwiches. 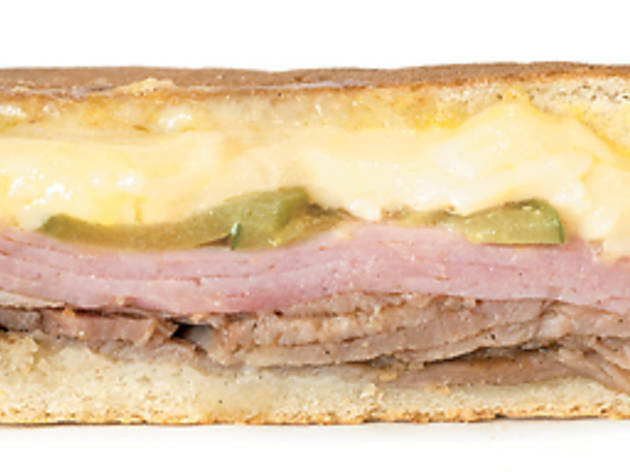 Sure, sides of roasted eggplant, cannellini bean salad and briny artichokes are flavorful, but there’s no confusion over the star of the show: The Cubano’s crusty bread is toasted just right, its roast pork juicy, its pickles thick, and its mustard and gooey cheese plentiful. And once it’s devoured, only a potent café con leche will keep you from calling the café’s comfy couch home for the day. Former food truck chefs Amy Le and Rafael Lopez teamed up to create a menu inspired by their family's dishes. We can only imagine that these two ate very, very well, if the bao tacos, dubbed "bacos," are any indication. 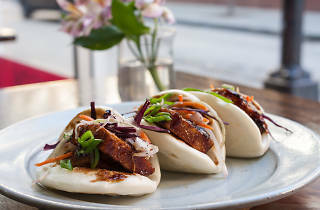 They're two-bites big and filled with taco ingredients like chicken and tofu. 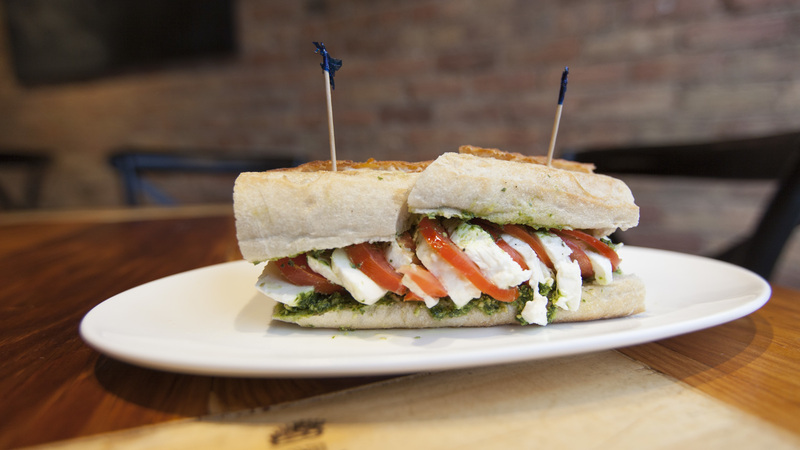 This friendly wine-and-cheese shop doubles as a grab-and-go lunch destination for busy Loopers. 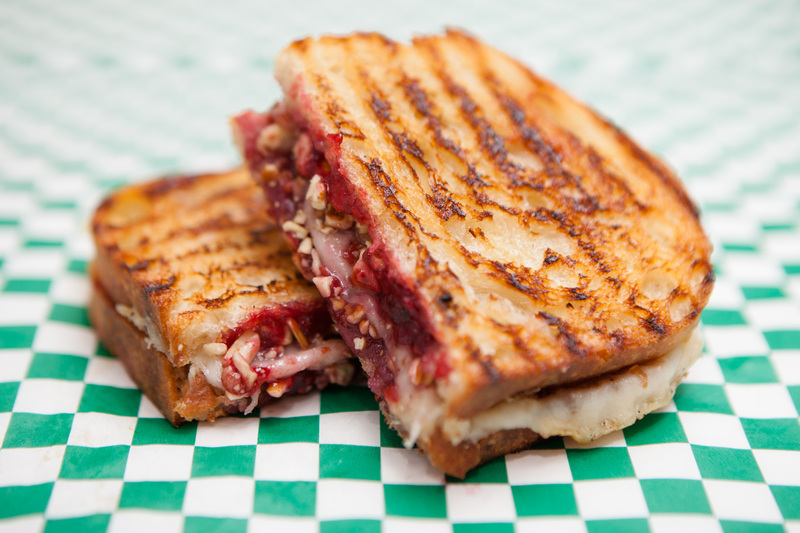 Sandwiches are your best bet, with options like the Blue Pig & Fig, topped with ham, blue cheese, fig preserves and mustard. Though you can expect a line, the staff is friendly and speedy, allowing you to get in and out in a flash. 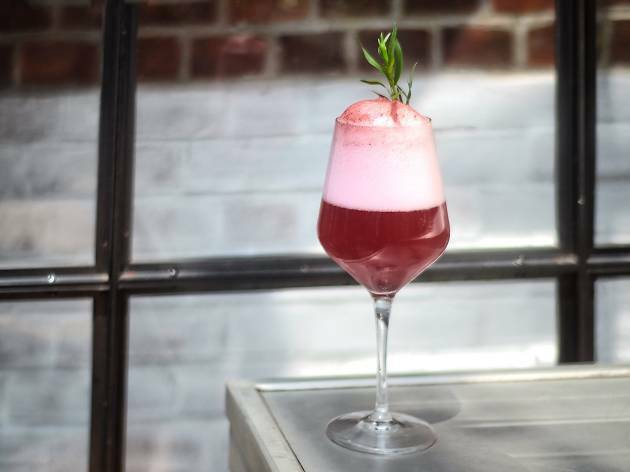 Most folks know this hotel rooftop bar for its brunch and fancy cocktails, but Cindy's also offers an awesome under-the-radar lunch menu. 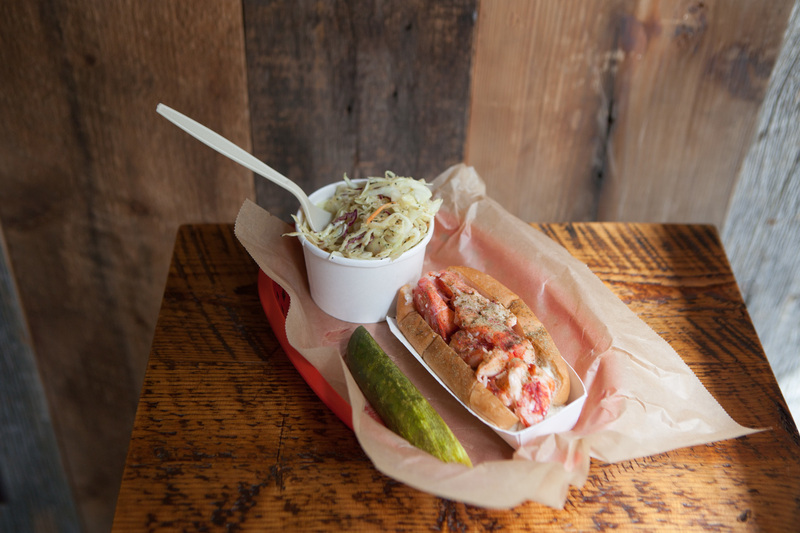 Nosh on handhelds like the lobster roll with apple and asian pear kimchi or the fried chicken sandwich, which is topped with pickles, coleslaw and comeback sauce. If you've got time, hang around for the cookie board, a slew of house-made Oreos, s'mores and Twix. 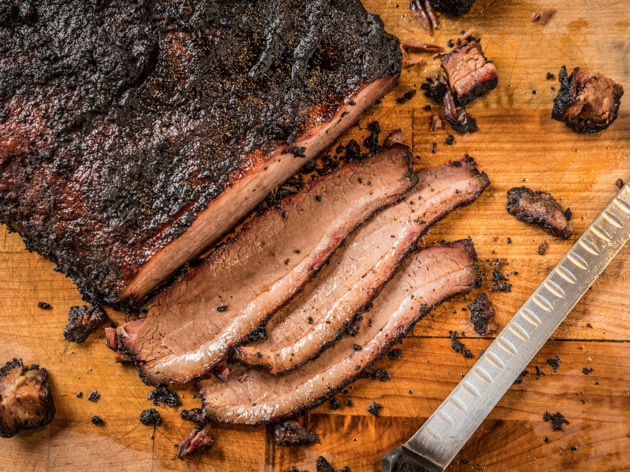 If you're looking for a soul-warming midday meal, make your way to Blackwood BBQ for premium meats between buns, on a platter or atop a salad, plus drool-worthy sauces and house-made sides. 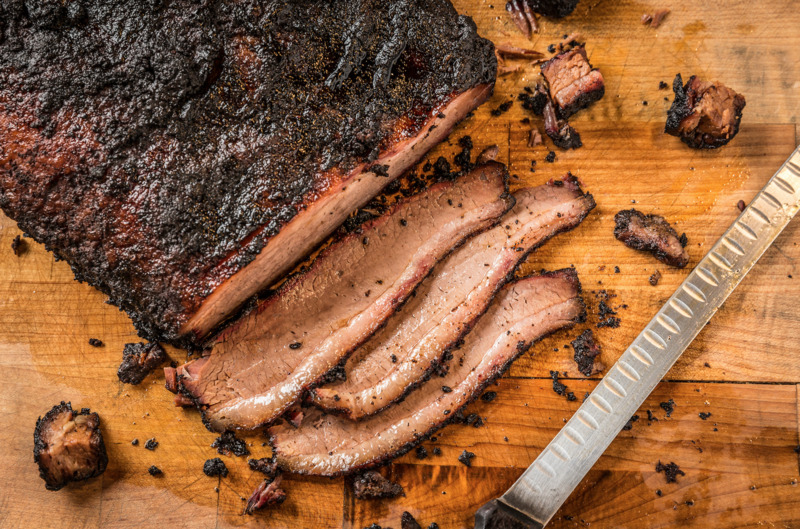 If it's your first time, order the brisket, which spends 15 hours in the smoker, and toss in a side of mac and cheese and Chicago-style sauce. Vegetarians are welcome here, too: You can choose smoked, hand-pulled jackfruit as a protein, a welcome update to the traditional barbecue joint. 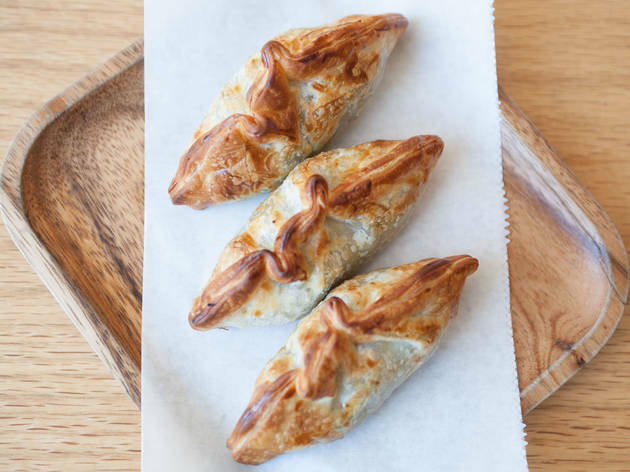 When the lunch hour is cut short and you only have time to grab and dash, 5411 Empanadas' Loop location has you covered with a variety of baked-to-order empanadas. From BBQ chicken to sweet corn, these doughy pockets always hit the spot. 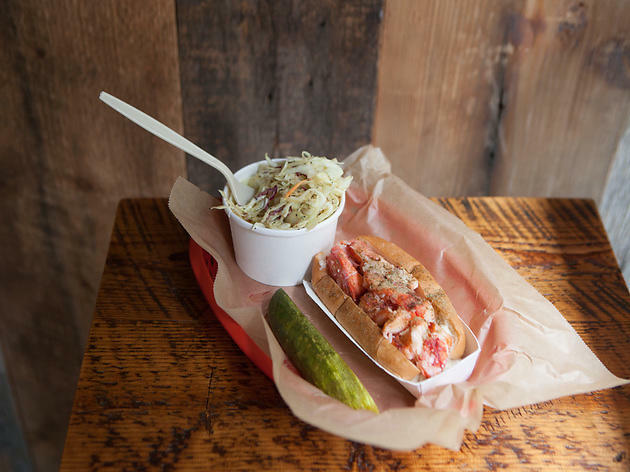 New York-based Luke's serves up a pretty solid lobster roll for $15. 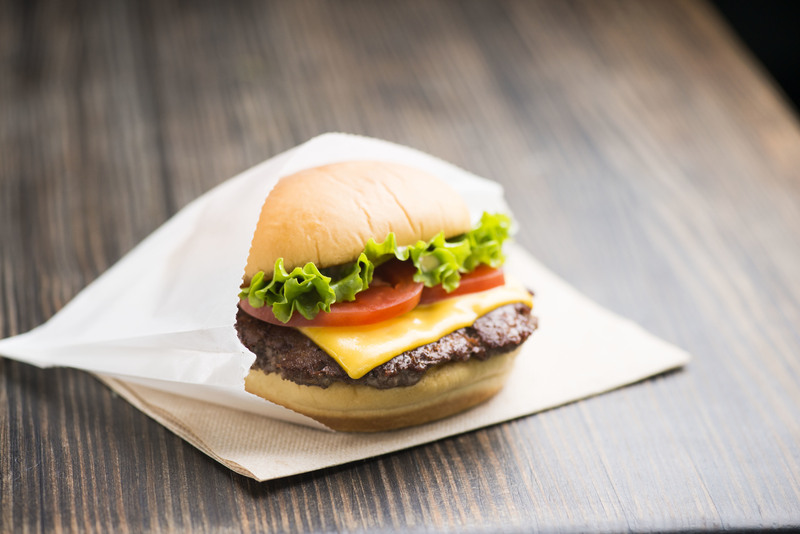 The meat is lightly dressed with both butter and mayonnaise, sprinkled with spices, including thyme and celery salt, then tucked into a well-buttered bun. The meat is just a bit too cold, so let it sit for a few minutes before digging in. But it's the crab roll, packed with tons of sweet crab, that steals the show. 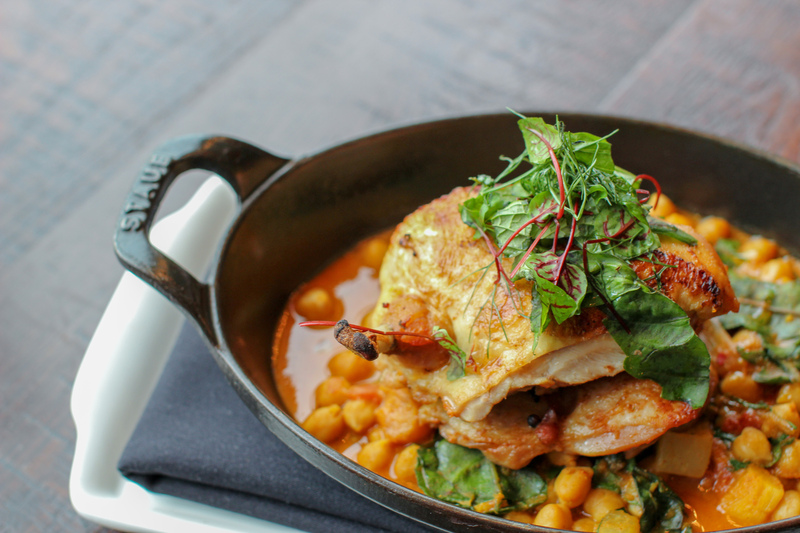 So you don't have much time but you want to treat yourself to something nourishing, eh? 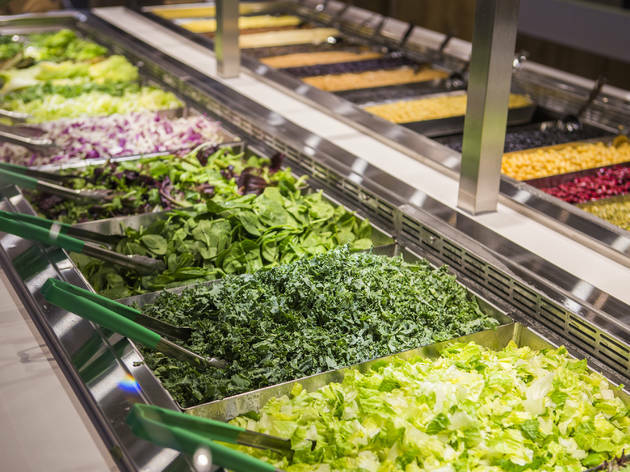 Swing by Beatrix Market's Loop location, which offers grab-and-go packages, a self-serve salad and soup bar and plenty of artisanal goodies. 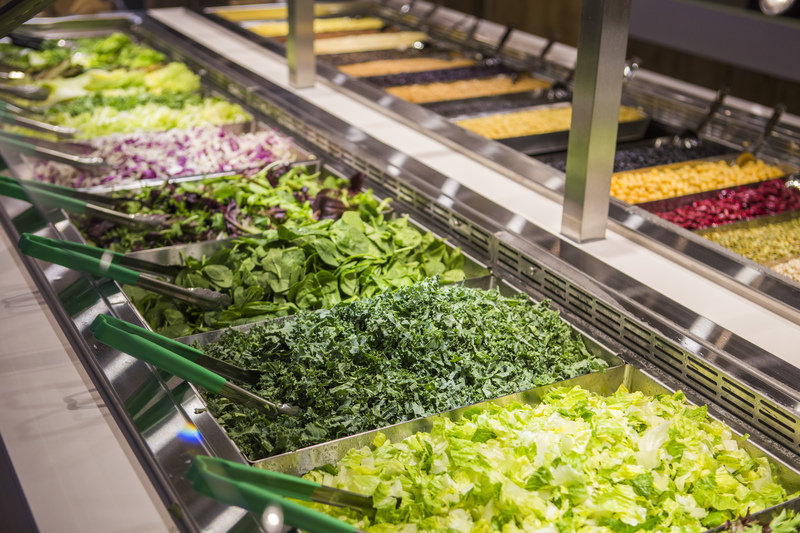 Whether you're looking for not-so-sad desk salad or a chocolate-covered angel food muffin, they've got you covered. 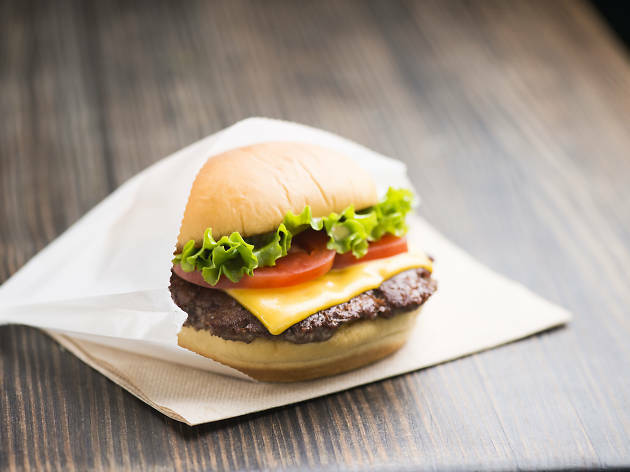 Fit for those days when you're not counting calories, Shake Shack's location inside the Chicago Athletic Association has a quick fix for all cravings. The ShackBurger and fried chicken sandwich make awesome lunch choices, and if you're feeling wild, go ahead and toss in cheese fries. 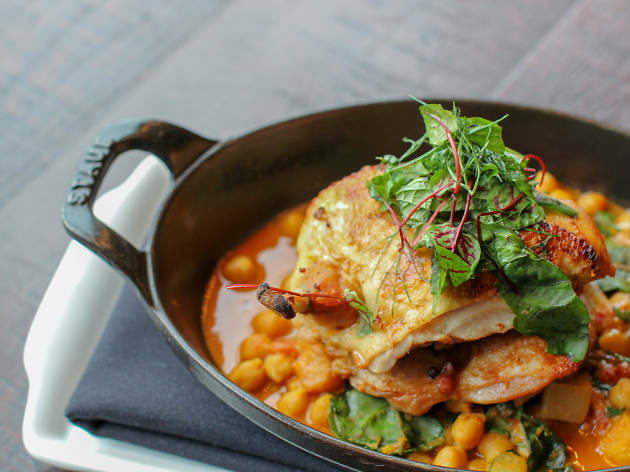 Situated on Michigan Avenue, this culinary gem is best for sit-down lunches with clients (or playing hooky with friends). Soups, salads, entrees, sandwiches and burgers round out the menu, but a few favorites include the Scotch egg with mustard and Katie's smoked salmon BLT with caper aioli. 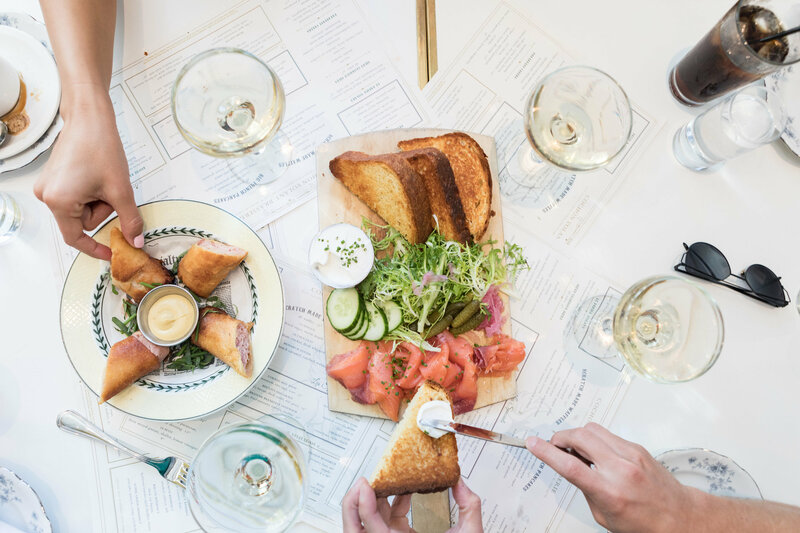 When those expense account-worthy lunch meetings strike, Cochon Volant has you covered with a cozy sit-down option. The menu boasts a variety of French dips, sandwiches, seafood, salads and appetizers. Psst! You can't go wrong with the foie and chicken liver mousse. 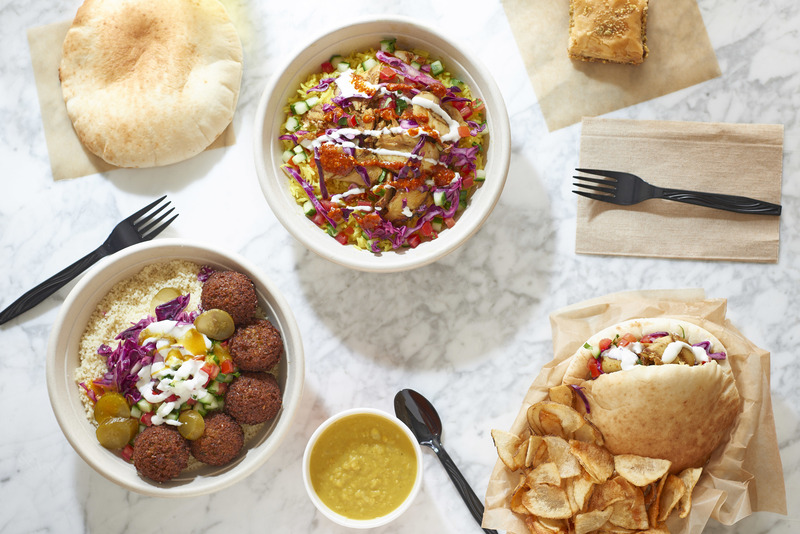 With a falafel joint on every corner, the Loop is competitive territory in which to open a Middle Eastern restaurant. 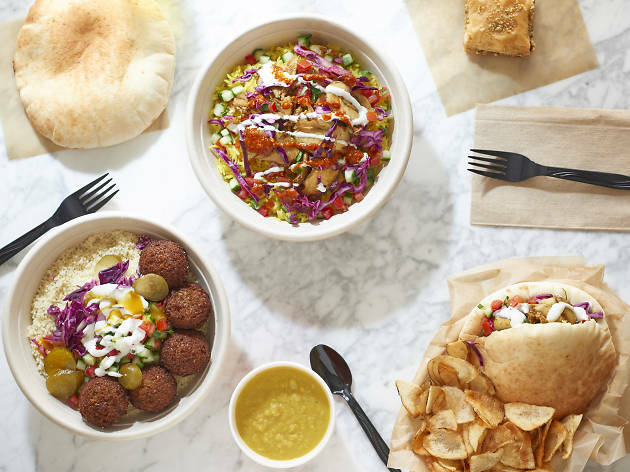 Fortunately, Naf Naf is a veritable lion, a place whose creamy falafel, juicy chicken shawarma or crispy chicken schnitzel can easily go head-to-head with any existing quick-serve spot in the city. The secret to the success: exceptional condiments and the just-out-of-the-oven pitas (rolled and baked on site). 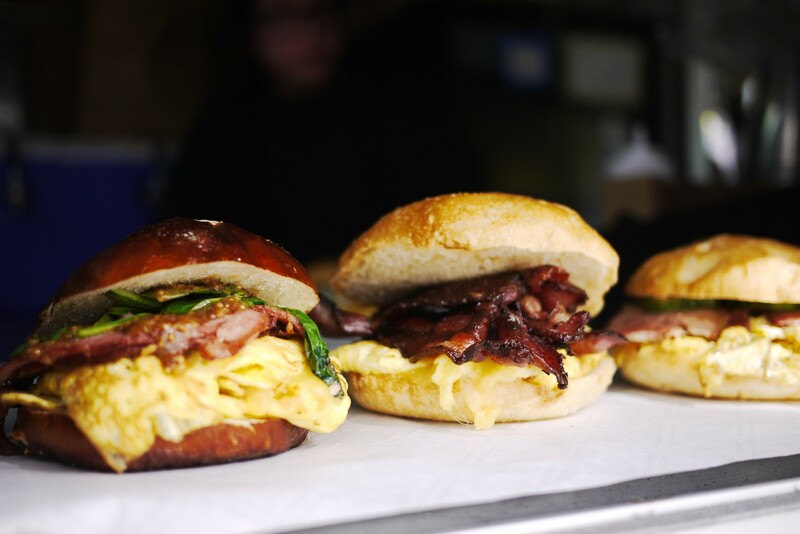 Go ahead and have breakfast for lunch. 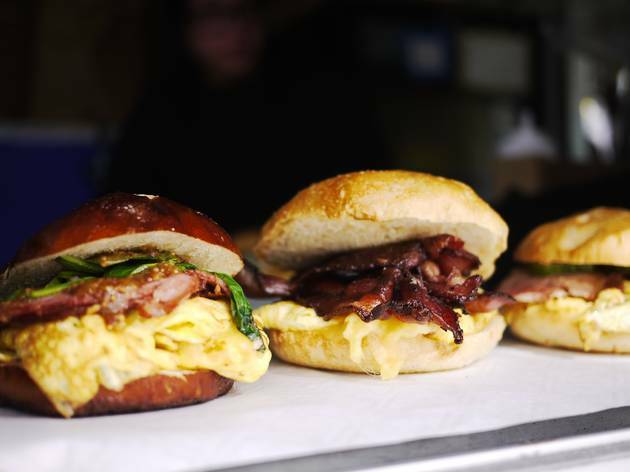 Eastman Egg Company offers killer breakfast sandwiches, a customizable burger, an omelet and a variety of small bites. 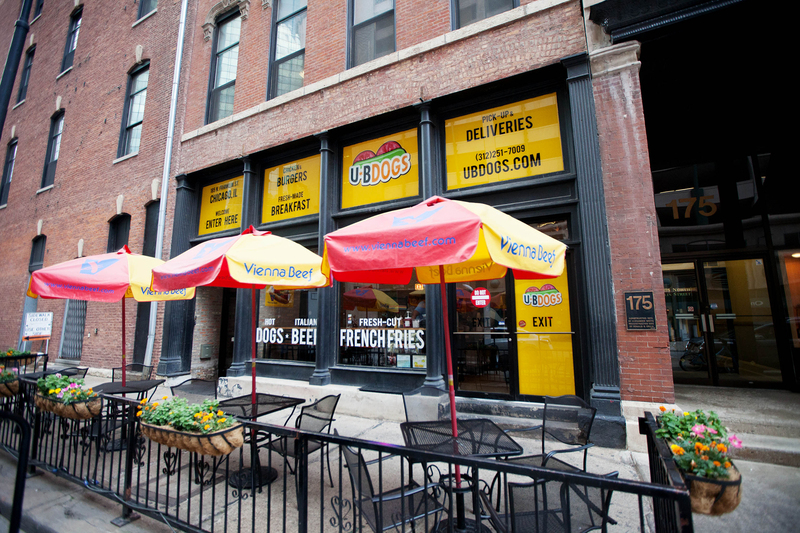 Get your hot dog fix fast at this Loop shop offering weiners and sausages, burgers, freh-cut fries, chili and more. Go classic with the Chicago-style dog or kick things up a notch with the Joey, a hot dog covered in fries, garlic-wasabi aioli and Tobasco sauce. Purist or not, add an order of chili-cheese fries to the mix for good measure.